Above: Despite the vast area of the site, space was running out rapidly. 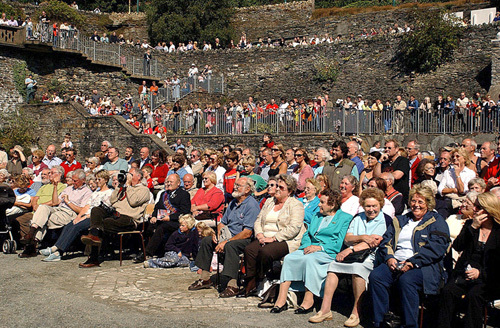 There was an estimated 4000 people turn out for the ceremony. 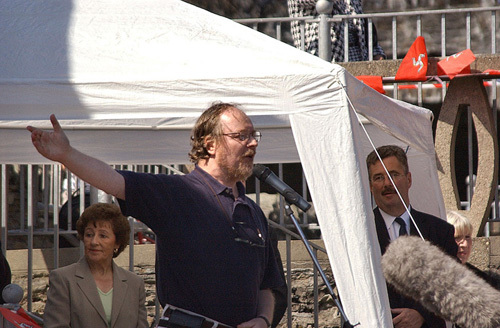 first speech and officially hands the wheel back to the people of the IOM. 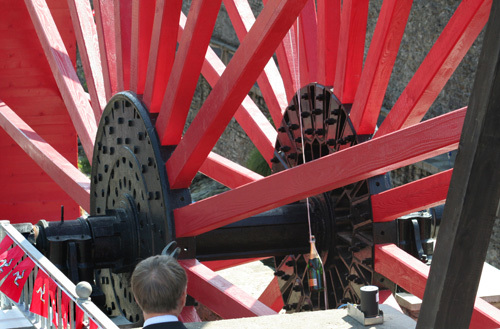 Environment makes his speech before cutting the ribbon and naming the wheel. 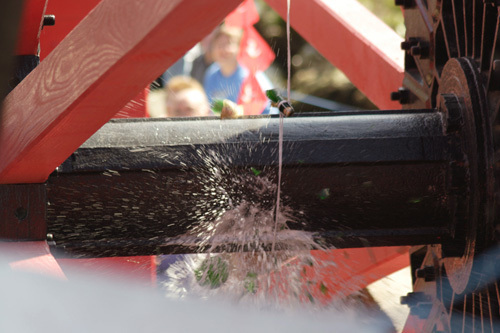 Above: The Champagne swings towards the axle. Above: The bottle explodes with a loud thud. Above: A close up shows how the bottle was right in the center. 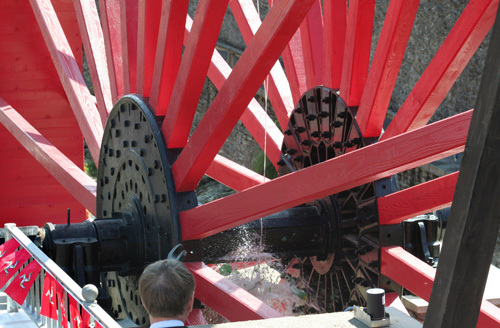 The wheel is Christened The Lady Evelyn.